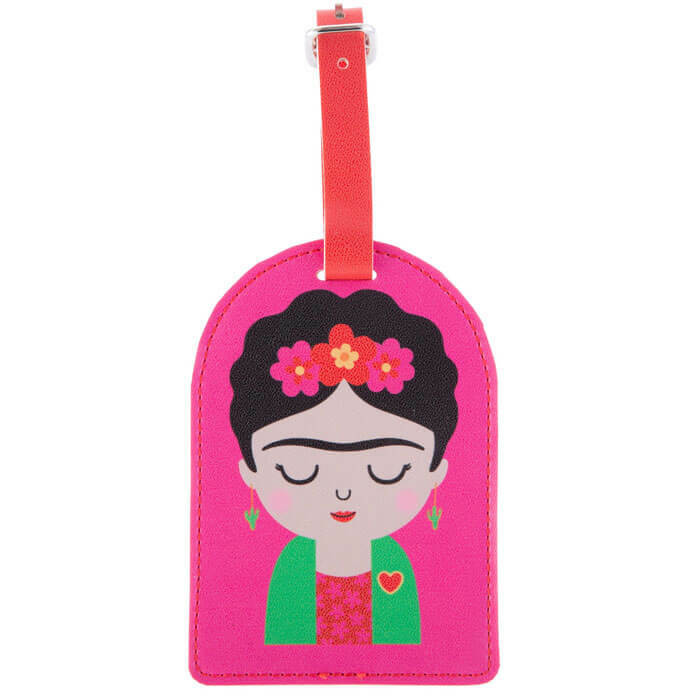 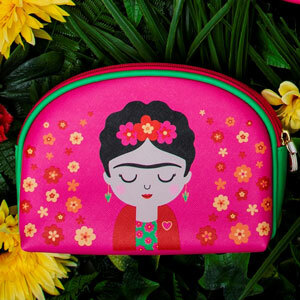 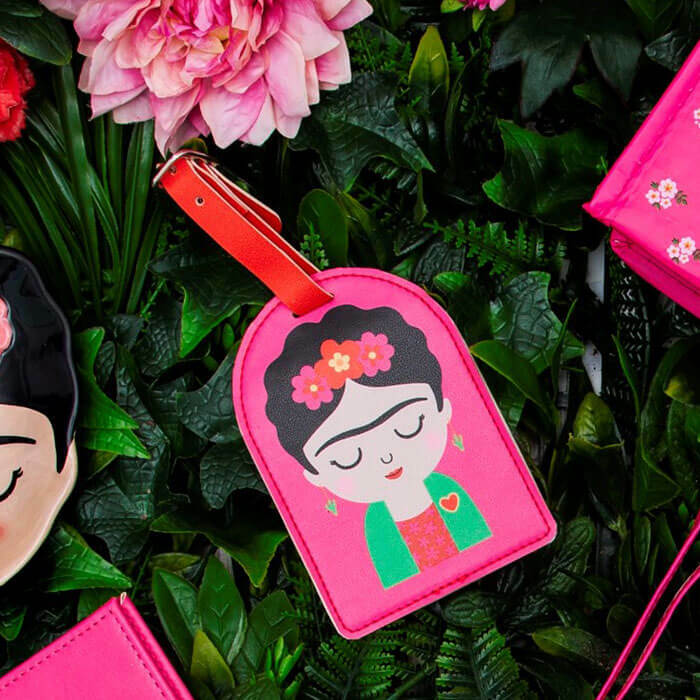 When you're travelling around the globe add some vibrancy to your suitcase with this popping pink Frida Luggage Tag! 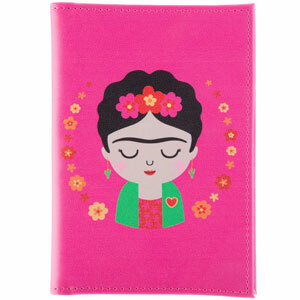 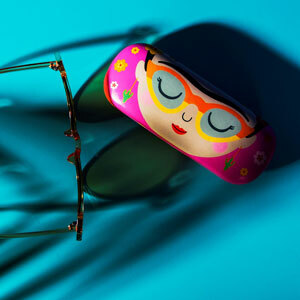 We adore the Frida Kahlo character in charming colours, with blushed cheeks and a pretty flower garland in her hair. 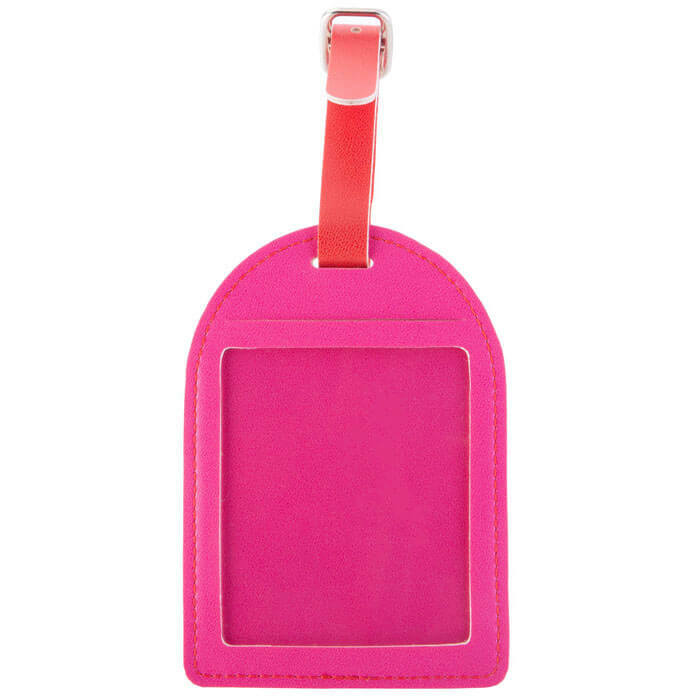 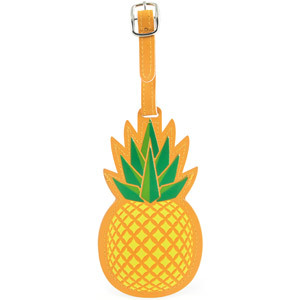 With this luggage tag you won't forget which case is yours.